(N5/NAE) (Atlanta) 1995 - 1999. Photos. Framable Color Prints and Posters. Digital Sharp Images. Aviation Gifts. Slide Shows. 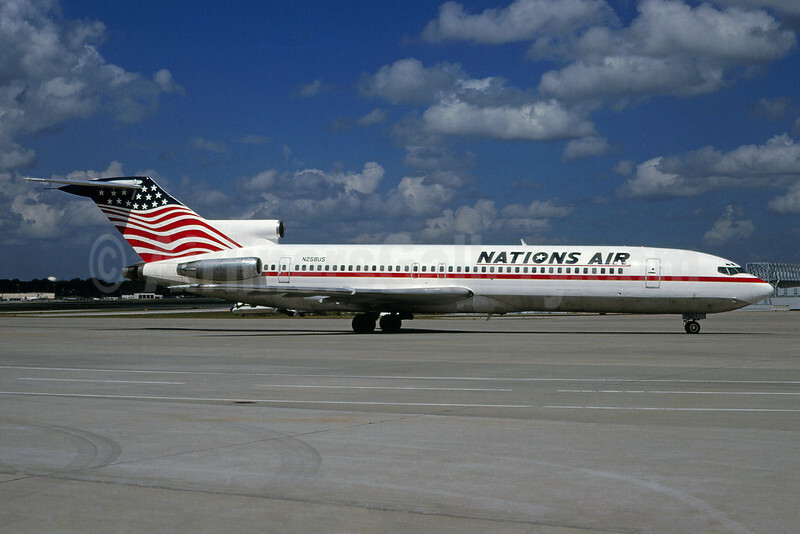 Nations Air Express Boeing 727-251 N258US (msn 19977) (Bruce Drum Collection). Image: 920583.